The property selection is the most important process of the overall strategy. Unlike the selection of a home to live in where people are more inclined to purchase a property that suits their overall personal taste, the investment property is all about rate of return, location and size. The first question is what type of property to buy? The type of investment property must be selected by tenant demand rather than personal choice. About 40% of the market is driven by the two bedroom unit market where young couples, singles, are venturing out away from home, older couples saving up to purchase their first home, are your typical type of tenant. Furthermore, new property is more preferable to old property as tax deductibility of capital allowance and depreciation considerably reduce tax. For instance, up to approximately $11,500 is tax deductible in these items in initial years of the property on a property valued at around $350,000. As the items are depreciated so too does the tax deductible amount, however, the capital allowance or the cost of the building can be claimed over 40 years, at 2.5% of the building costs. If you have a building cost of $200,000 then $5,000 can be claimed as tax deduction over this period of time. The second question is where to buy? The next part of the process is the research of the property market overall. The question that we must answer is why certain areas outperform other areas in rental yield and capital growth. What drives one area over another? As an Economist, my first thought is to economic development in an area, the influx of migrants, rezoning laws, infrastructure improvements, are all the factors that drive demand. When we were first looking at the Campbelltown/Leumeah area what impressed me most was the surrounding infrastructure of a hospital, university, TAFE, good transportation with a rail line, and the employment hub of where all the major companies had set up their factories. The State and Federal Governments had pour in over 8 billion in infrastructure. This can partly be seen with the upgrade of the Hume Highway into three lanes in both directions. The linking of the M5 and M7 freeways to Campbelltown through the Hume Highway upgrade. Once the transportation system is improved providing faster and easier access to an area the price of property goes up exponentially. Campbelltown/Leumeah was achieving rental returns above the average rate for Sydney of 4.5% up to 6 to 6.5%. The next question is when to buy? The best time to buy anything is when there is uncertainty in the market place, like in the Global Financial Crisis. The developer, Parkview Group, originally had these properties on the market at $360,000, however, when the GFC came along, Parkview Group had a problem of refinancing their debt, like most developers at the time, so the only alternative was to discount the properties from $360,000 to $265,000 and then later on to $275,000. We sold 16 properties to our clients at Pembroke Road Leumeah. It is an ideally located site with a train station a 100 yards down the road, shopping centre around the corner, and it is across the road from the West Tigers League’s Club. The property prices have increased since 2009 to $335,000, a gain of between $60,000 to $70,000 or 20% over the past two years. Furthermore, rental yields moved from $275 per week up to $370, an increase of 35%. The gross rental return on the original property value is 7.3%. The result for most of our clients that brought into this property is that their net assets to pay a benefit to members have increased substantially. One client that purchase one property in 2008 started off with assets of $106, 187, purchased one property in 2009, and another in 2010, with net assets to pay a benefit to members is now $262,216. Over this period of time it is an increase of $156,000. Members’ contributions over this period were $91,709 net. Example two above started off with net assets to pay a benefit to members of $78,063 in 2008 to having net assets of $156,603 in 2011. This client purchased one property in 2009 and is about to purchase another in the Campbelltown area in 2011. We have spoken about the type of properties to purchase, location, rental returns, new properties as opposed to old property, tax deductibility, but where do you find all of this research, on different areas, prices, rental yields, and so forth. I run an accounting practice dealing with over 1200 clients per year, setting up self managed super funds, taxation returns, financial records I don’t have the time to go out and research the market on a weekly basis. We have achieved some amazing results through this process. Most of the properties purchased have been pre-sales. The reason that we have been able purchase properties as pre-sales and make capital gains by settlement is that the larger type of developer does not need to borrow as much money from the bank to complete their overall development as smaller developer. These type of developers usually wait until completion before selling their properties so they maximise the selling price. Even if they do enter into selling the properties off the plan, the selling price, is usually constructed around a finished property in 12 to 18 months’ time. So you are not really buying a property in today’s market picking up the gains that can be made over the construction period. The smaller type of developer does not have the same luxury as the larger developer. The small developer usually has to borrow up to 70% of the completed property value for his construction costs. These developers do not have the financial clout, or the same amount of funds behind them, as the larger ones. Therefore, banks insist that they cover their debt with pre-sales to offset any potential risk in lending them the money to construct. These are the type of developers that provide properties at a real discount off the market price for new properties. The developer either has two alternatives: hold the property for another 12 to 18 months, or sell at a higher than current market price, or discount the price below the market price to achieve the pre-sale required to build. In April 2009 we identified Parramatta Regional Centre, and surrounding suburbs as a high level growth area. We pointed out that key infrastructure spending had already occurred with the $110 million Transport Interchange, upgrading Parramatta Railway Station and Bus Terminal, $119 million upgrade and further expansion of Westmead Hospital, $330 million spent on the Parramatta Justice Centre, and the $1.4 billion re-development of Civic Place. Since 2009, Parramatta has now be earmarked as the next commercial growth centre within the Sydney Basin with re-zoning laws being changed to accommodate large commercial buildings. For instance, the building that we occupy in Parramatta had a building ratio of 5 to 1 of the land mass size. This meant that the size of the building could be between 5 to 7 floors depending on the foot print size. This type of zoning restriction has paralysed the growth in Parramatta and restricted the region from becoming a major commercial centre. However, the change in zoning laws now means that instead of a 5 to 7 floor building we can constructed a 21 floor building on the same block of land. Furthermore, if we combined our neighbour’s property together with ours, we can build a 30 storey building. These types of buildings are already in the construction phrase with QBE, the major tenant of 12 Station Street Parramatta that will have 21 levels, the old David Jones building in Church Street, has been purchased by Meriton Apartments, with a combination of residential and commercial. The Smith Street corridor from Parramatta Station through Smith Street in Parramatta is being developed to accommodate State Government Enterprises with the Water Board already moving into a new building. We identified in 2009 the growth potential of the Parramatta Area. I have many grateful clients that have purchased in the Parramatta region that have made huge capital gains over the past couple of years. 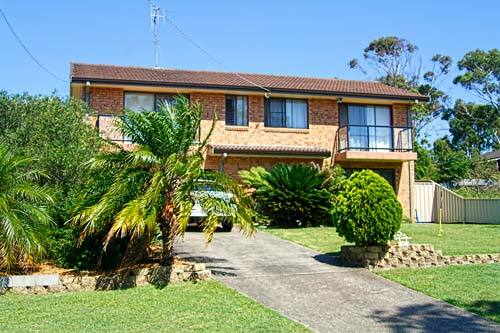 One of my clients is an engineer with Westmead Hospital and lives in Winston Hills. This client had a $156,000 in State Super in 2008, and decided to rollover it over into a Self Managed Super Fund. The financial advice from his adviser was that he was rolling over his funds into cash at the lowest point in the market, so therefore he would miss out on the upturn in the market when it occurred. This client decided to ignore the financial adviser’s advice and rolled over his funds and set up a Self Managed Super Fund. The first property that he purchased was at Leumeah, the ones I referred to previously, at $275,000, with a rental yield of $275 per week in May 2009. In July 2009, this client purchased a two bedroom unit, with a study, in Lydbrook Street Westmead, at $400,000, with a rental yield of $400 per week. The current value of the Leumeah property is $340,000, rental income $370 per week, Westmead property is valued at $490,000, rental income of $470 per week. This client has made a capital gain of $156,000 over the past two years in his Self Managed Super Fund. The client Super Fund has increased in value over the past two years from $156,000, the initial rollover, to $325,000, inclusive of the capital gains, and contributions. The reason this client took no notice of his financial adviser is that on his own calculation is that if he continued with the current strategy of salary sacrificing into superannuation with no gearing into property, the most he would end up with is approximately, $575,000. Under the property gearing strategy, this client estimated that both properties would be paid off over the next fifteen years, and should double in value, to $1.4m by the time of retirement. When the Super Fund moves from the accumulation phrase to the pension there is no income tax or capital gains tax payable on the properties, therefore less tax means more money in retirement. Another client purchased a property in Warby Street, Campbelltown, a two bedroom unit at $325,000, rental income of $370 per week, in 2010, the new development alongside, is selling similar properties at $350,000, rental yield of $380 per week. The gains made in the North Parramatta and Northmead area have been extraordinary with a purchase of a two bedroom unit in Grose Street North Parramatta, for $400,000, in November 2010 on completion in July 2011; the property was worth $485,000, with a rental yield of $485 per week. 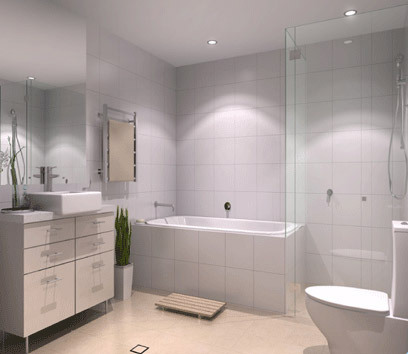 Our clients have had a similar experience purchasing off plan two bedroom units in Briens Road Northmead for $360, 000, current uncompleted value is $460,000. These properties have all been sourced through various developers. The latest acquisition has been five two bedroom units at 3 to 7 Warby Street Campbelltown ranging in prices between $330,000 to $345,000. 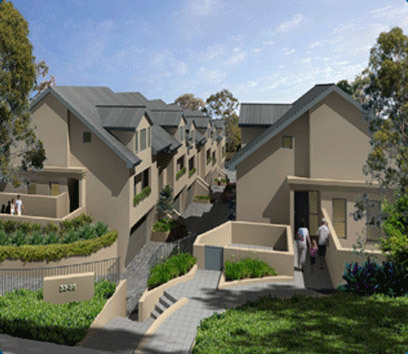 The most recent purchases by our clients are two story townhouses in Windermere Ave Northmead at $565,000. Five year old properties in the same Street were selling at $585,000. The developer was keen to get his development underway so the first 6 townhouses were discounted down by $20,000. These ones only lasted a week with the other six being sold within the next 2 weeks at full price. Our clients picked up a capital gain on purchase of $20,000. The other major financial benefit is that there is no stamp duty payable on a new dwelling where construction has not started. 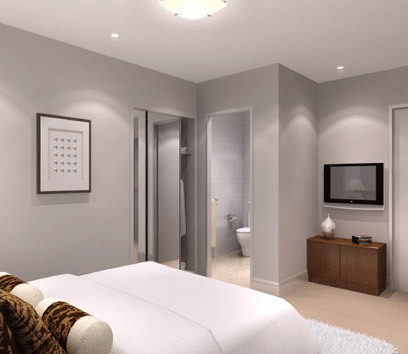 The capital gains made on all these properties is predominately due to the research we have carried out and the properties that we have provided through Parramatta Accountants.